Boatshed Wales are proud to announce their support of Alex Luddington, who has been involved and helped out in the past at our Cardiff Office. He is sailing round Britain singlehandedly in aid of www.Francescasresearchfund.co.uk This is a charity that Alex’s family friend Francesca , who he describes as “like my little sister”, was inspired to create with the aim of raising money to support research and awareness into Non-Hodgkins Lymphoma. Sadly Francesca lost her battle with Non-Hodgkins Lymphoma a few days before her 10th birthday. 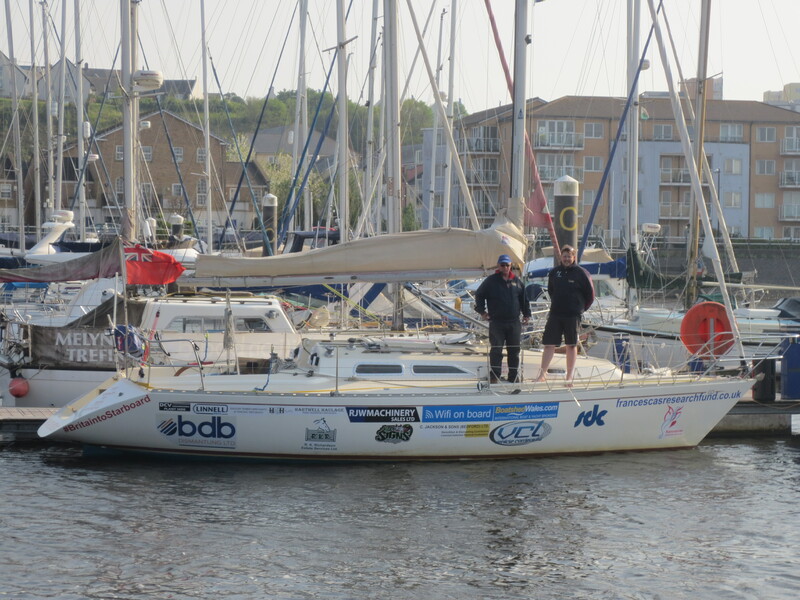 She had asked Alex if he would sail around the world but he thought it was a bit ambitious for his first big voyage and they agreed to compromise on him sailing round Britain to raise money for her charity. The challenge Boatshed Wales has laid down for Alex during his passage is for him to meet as many of the Boatshed brokers as possible on his way around as he stops over in the various locations. We have promised to donate to the charity £50 for every picture of a Boatshed broker he meets on his way. With the size of the Boatshed Group we are confident this will add up to a sizable donation in itself. 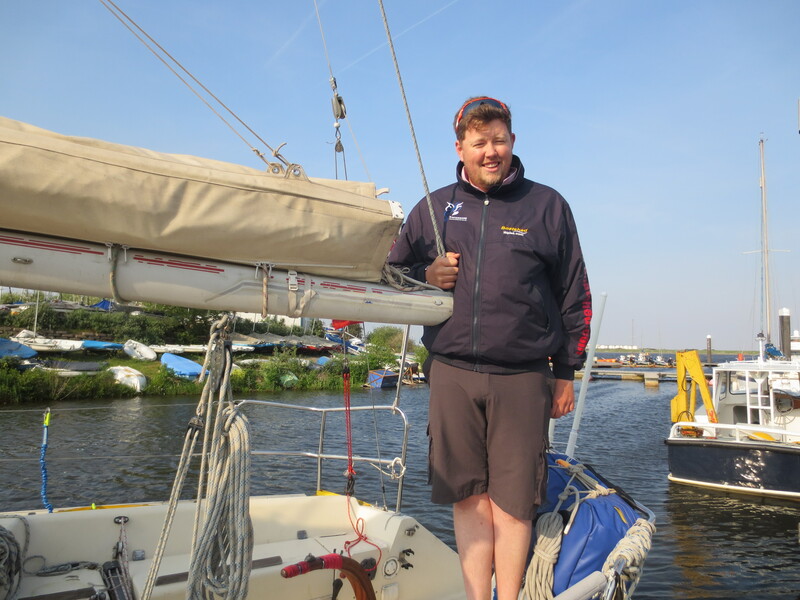 The challenge Boatshed Wales has laid down for Alex during his passage is for him to meet as many of the Boatshed brokers as possible on his way around as he stops over in the various locations. We have promised to donate to the charity £50 for every picture of a Boatshed broker he meets on his way. With the size of the Boatshed group based strategically around the UK coastline we are confident this will add up to a sizable donation in itself. 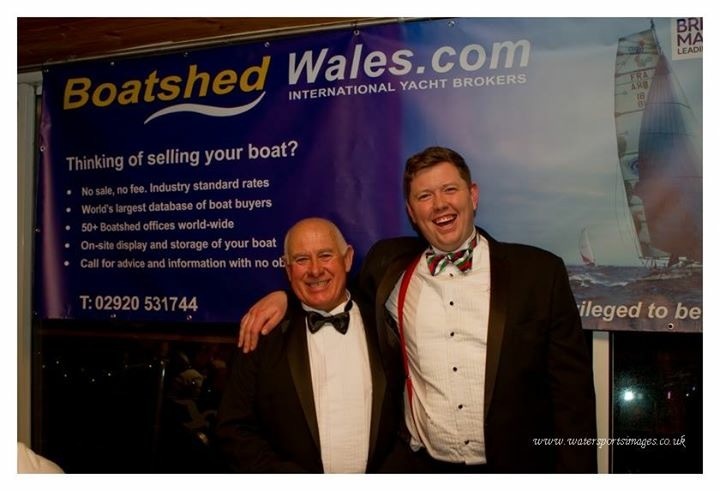 The first picture to gain the charity a donation is of Alex meeting Keith Doust who runs the Cardiff office of Boatshed Wales, for the occasion of the Butterfly Ball, which was held at Cardiff Bay Yacht Club to raise vital funds for the charity. Keith (on the left) is not wearing his branded Boatshed jacket, but he is excused this one time as it was a black tie event! The yacht Alex will be sailing is a Contessa 33, Naida, and she has been specially prepared for the Round Britain trip which is commencing on the 14th May 2016. Alex expects the trip to take 2-3 months. She has been well prepared for her passage, with some help from Keith for example her hull has been strengthened and upgraded Dyform rigging has been fitted. She has just completed a shake down trip to Ireland to blow away the cobwebs and to check that all the systems are working. During his voyage Alex can be contacted onbritaintostarboard@gmail.com and would appreciate hearing from you with any messages and support. You can keep up with the daily blogs on Facebook https://www.facebook.com/profile.php?id=100011104713068 , Twitter https://twitter.com/Britaintostarbo and the daily blog and tracker on www.wifionboard.co.uk to see where Alex is. Please do come down and see him at your local harbour or marina and have a look around the boat and show him your support, which he will be very grateful to receive. 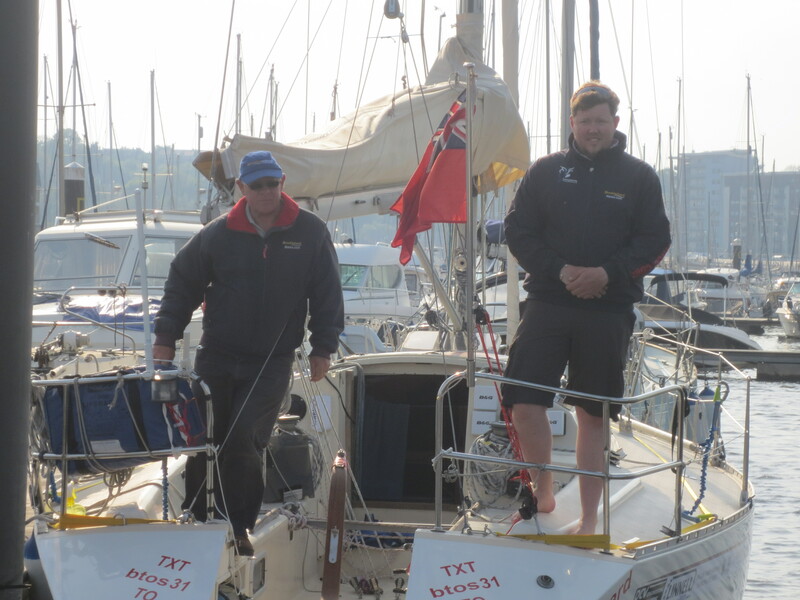 Boatshed Wales are pleased to support Alex and wish him all the best with the trip. Keep an eye open for Alex at your local Boatshed Office!! You can donate to Francesca’s Fund here or text btos31 to 70070 with an amount. Thank you in advance for your help and support with this worthwhile voyage.